This, then, would be the newer of the two telescopes. 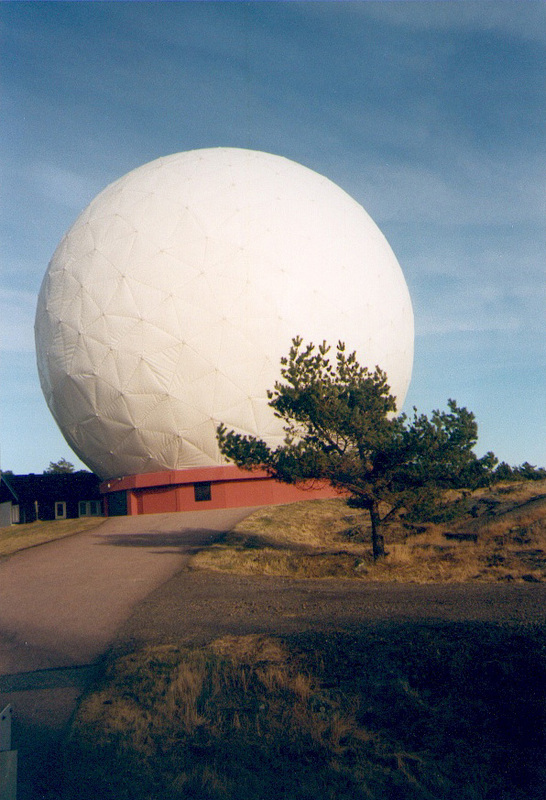 It is a 20 m.
such a housing is a radome. like any other twenty metre aerial in your daily life.